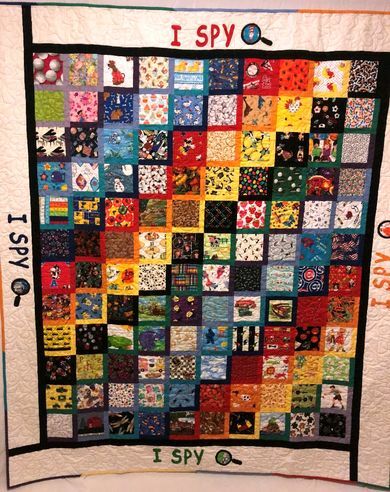 Pictured is the 2019 DuBois Raffle Quilt “I SPY”, made by the Happy Quilters of St. John UCC, Mascoutah. Based on the popular books of picture riddles, the quilt has 120 different fabrics for the challenge and fun of finding hidden objects. Tickets are $1.00 each or 6 for $5.00 and all proceeds go to DuBois Center. St. John UCC, Mascoutah matches all money that the Happy Quilters raise, so each dollar you donate is two dollars for DuBois Center.